Tired of Your Wrecked Car In The Driveway? Does your driveway need a face-lift? 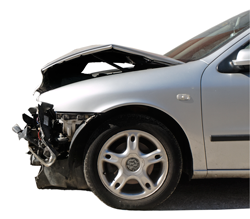 Do you have a vehicle that has been wrecked, or a commuter that has been driven to it’s end? Give us a call! We will pay cash for any car, in any condition. We buy cars, trucks, vans, SUVs, and even farm equipment, whether they are working or not. We also offer fast, free removal and never charge a separate fee for towing. We feel that we pay the most in the Portland & Vancouver metro area for damaged vehicles, so give us a try. Call us up and see how much your junk car or truck is worth today. Since we have been in business in Portland for over 34 years, we are able to give the most cash for cars in the area. When you call, you’ll be working directly with us which means there isn’t a middleman taking their cut of the profit. You can be sure you will be getting the most for your car when working with us. Please give us a call today to find out how much cash your vehicle is worth and to get top dollar fast. Getting cash for your car is quick and easy. When you contact us either by phone or online, we will give you a quote for your vehicle over the phone. We will also arrange a time that works for you to pick up the car and deliver the cash. Our tow driver will come to your location with the cash to take the car away. In most cases, we can buy your car within only a few hours making this one of the fastest ways to get cash in the Portland Oregon or Vancouver WA areas. We work hard to take care of our customers and our environment. We are proud that our environmentally responsible business practices will enrich our surrounding communities both now, and in the future.